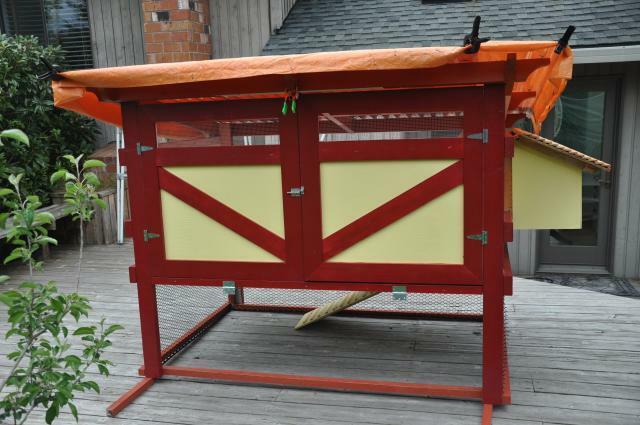 Sunny Side Up: My First Chicken Coop! 1. Look at other coops. There are so many references. 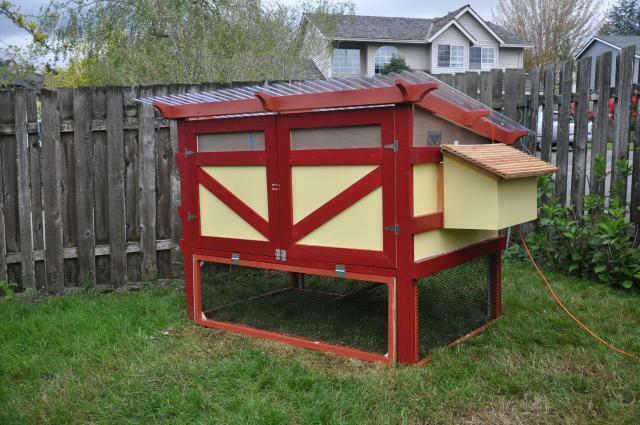 The simplest, just typing “chicken coop” into Google images. There is a great abundance of them here on BYC. Go to your public library for books. Look in them! 2. Know what you want. Figure out how many chickens you have/want, and what their needs are. Where you live will affect your coop needs as well (rain, temperature, snow, heat). Are you going to free range them? Might you take on the challenge of working with recycled materials? Take a look in your yard (or wherever you will be keeping them) to make sure you have enough space. 4. Figure out what materials you need to build. The first thing will be a trip to Home Depot, I guarantee you. ^^ measurements again! You don’t want to have to be figuring out this math in the middle of Home Depot. Have a list ready so you can easily figure out what materials you need. 5. Begin to build! Take your time, be cautious, never say, “Well, I guess it’ll work …” because it won’t later on. Never hurry! Good luck! And now, my coop – Sunny Side Up! 1. Size. We have four adorable chickens, and you need to have around 6 feet of space for them in the run. So we made the coop 4’x6.’ Easy peasy. 2. Aesthetics. We live in a suburban area, meaning the neighbors are a couple feet away. We don’t want a beaten up shed-type-thing so that visitors are able to say, "Why would you keep chickens?!" instead of smiling at a well-put-together chicken coop. 3. Cleanliness. As I said before, the neighbors are quite close. If it smells even the tiniest bit we will be screwed. 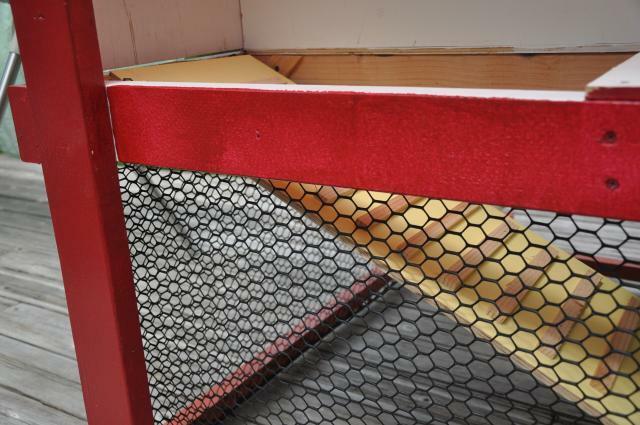 The coop has to be easy to clean and the cleaning can’t be time-consuming. 4. Drainage and Ventilation. I live in Oregon, which means it’s extremely rainy. Ventilation, going back to the smell. 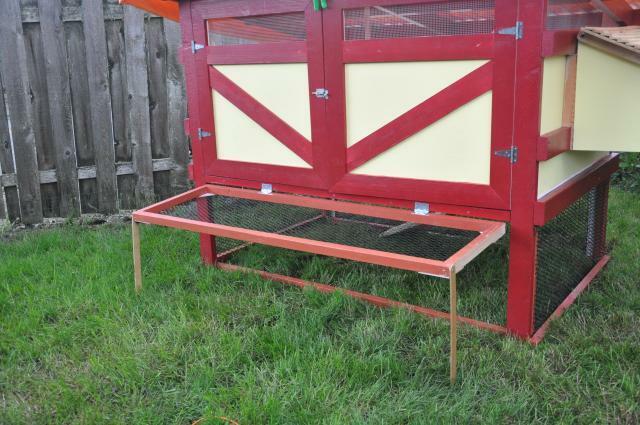 I read so much about chicken coops I could probably repeat it all back to you. But because I don’t want to bore you, I’ll tell you that you need to read about them. It will help. Also, (again, sorry), read what other people have to say about their coops on the forum. It will help avoiding dumb mistakes. Like I said before, this is the picture on Google Sketchup we found that basically represented the figure I was imagining in my mind. We got lucky in finding this. We made a visit to Home Depot and came back with almost four sheets of plywood and about 12 2x4’s! 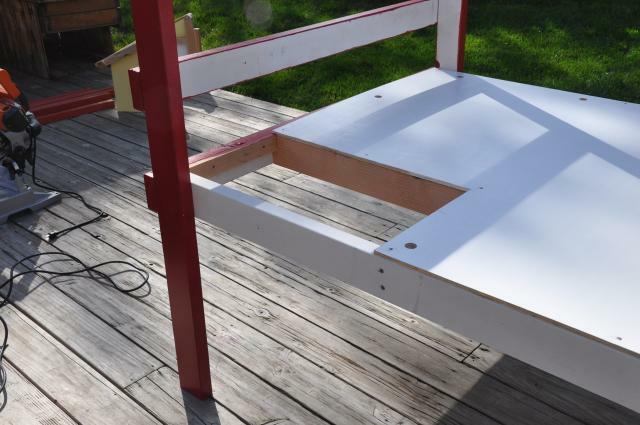 We measured all the pieces (measure a million times, cut once) and then primed. Let’s just say I am never going to paint another 2x4 ever again. We then began painting the main colors. 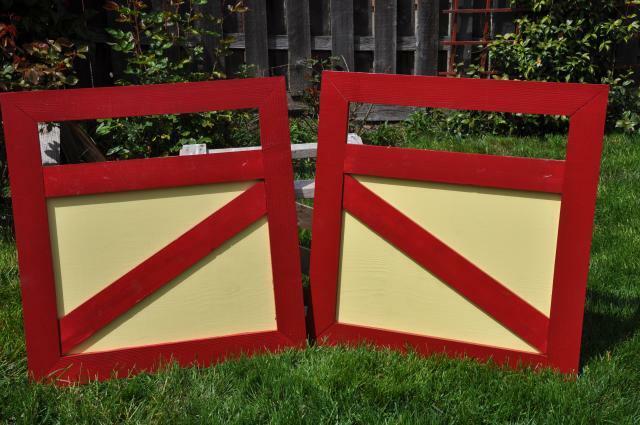 We picked a happy, buttery yellow, crimson red, and cinnamon brown. They go very well together! 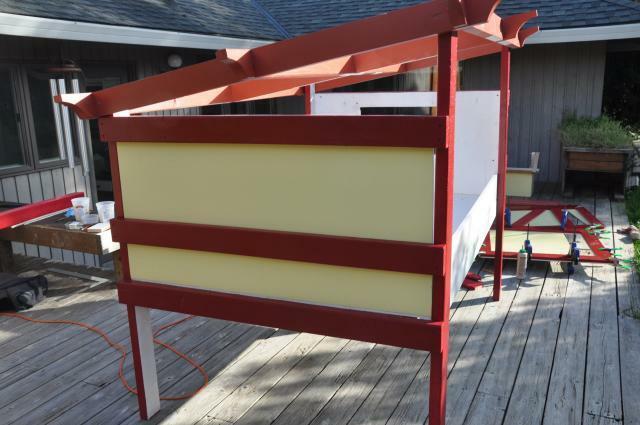 We spent another few days painting the trim pieces the colors. Assembly time! My favorite, because it actually feels like you’re getting something done! 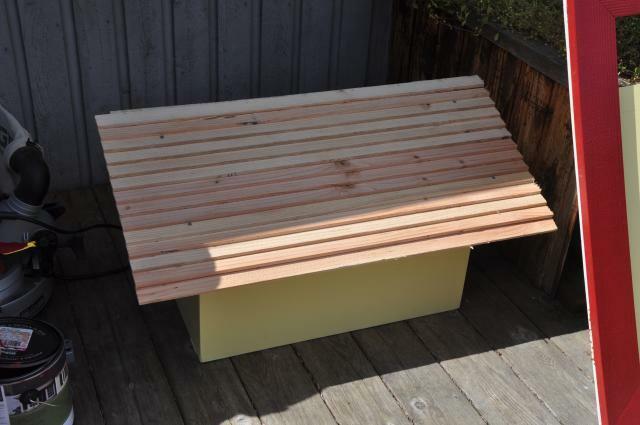 The side trim is assembled, and then the floor. The floor has a few 1” diameter holes on the outsides for drainage, just in case any water leaked through. It also has an opening in the back right for the ladder. They will be able to get to the run with this. It’s about 2’x1’, a little big, but that’s better than too small! 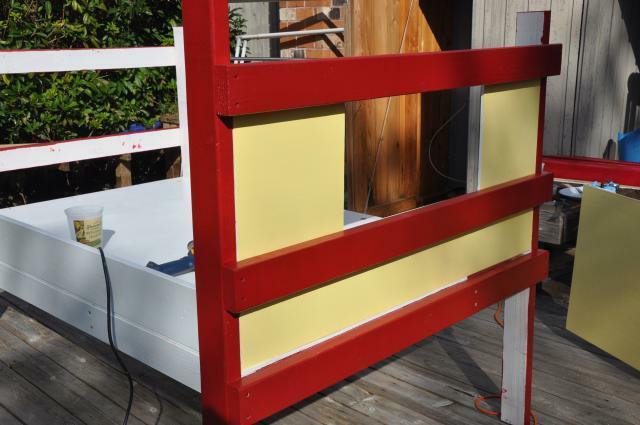 We then put up the side plywood (the yellow). This opening is for the nesting box. Then we have a gate/guard in the front because the pine shavings are going to be about 5” high, so we can’t open the door and have the shavings fall out! Quick thinking by my dad for that one. The roof trim (brown) is in place. The curved ends kept falling off! It took a while to glue them back on, but they are here in this picture. 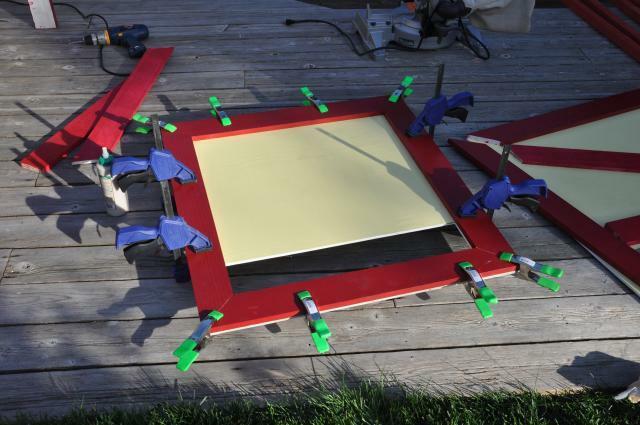 The door is now being glued with a bunch of clamps. 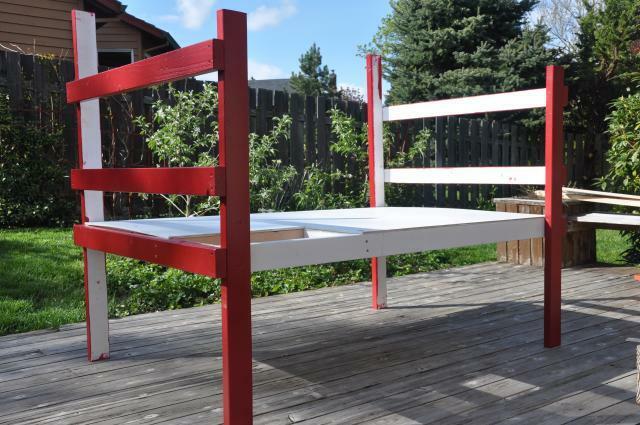 The space from the slanted roof is enclosed with hardware cloth, put on using the staple gun. Before you freak on me, that gap was fixed! The doors are done now, and look smashingly handsome, haha. 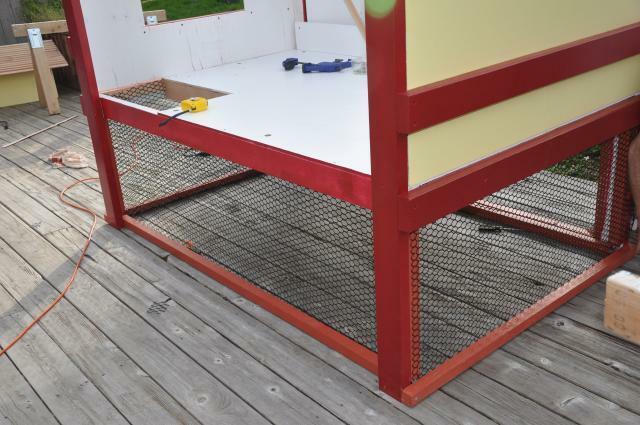 Then the coop is raised ontop of the sawhorses so we can attach the netting at the bottom. So, of course I was nominated to go underneath the coop, using the staple gun, to put the netting in. That was … difficult. 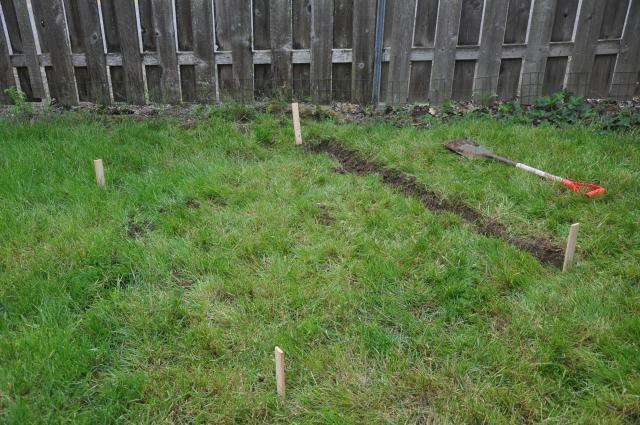 We then had to prepare the site because it was on a bit of an angle. This is the finished, final coop! So excited! The gate, pulled out. 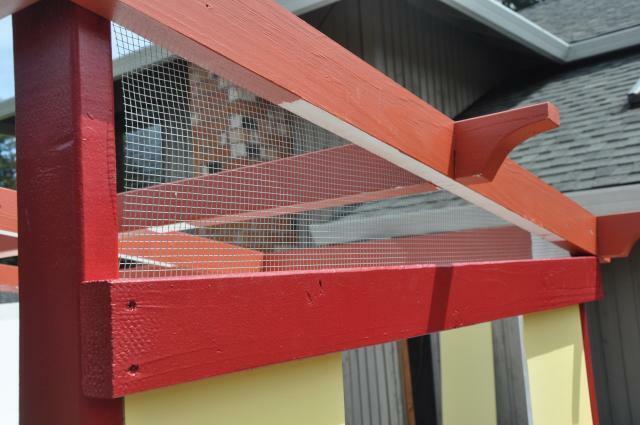 We attached two small pieces of wood that rotate out when we allow the birds to free-range. I think they're enjoying it! 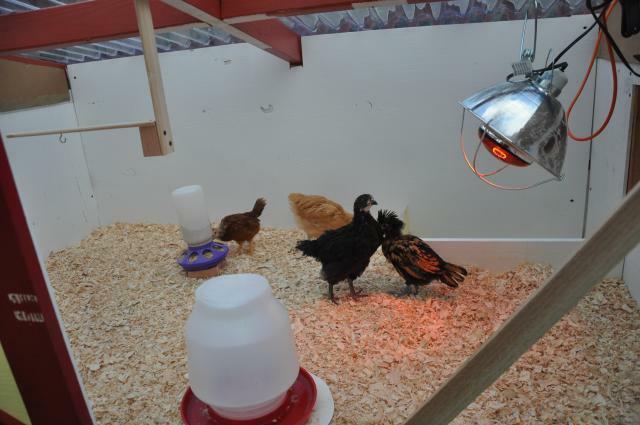 The indoor picture - the heat lamp, feed and water dishes, and the roost on the left. 1. The coop is attractive, just how I wanted. 2. It's functional. 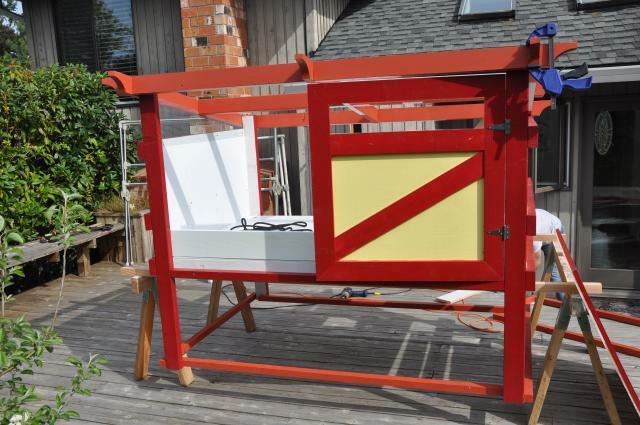 I can get eggs, clean the poop board, and refill the feeder and waterer very easily. 3. It's huge! We may have made it a little BIG for 4 chickens! 1. When I open the door, my chickens are all over me trying to get out. 2. I can hardly reach to the back of the coop from the front when I need to. Basically a few placements could have been better. Thank you for stopping by. 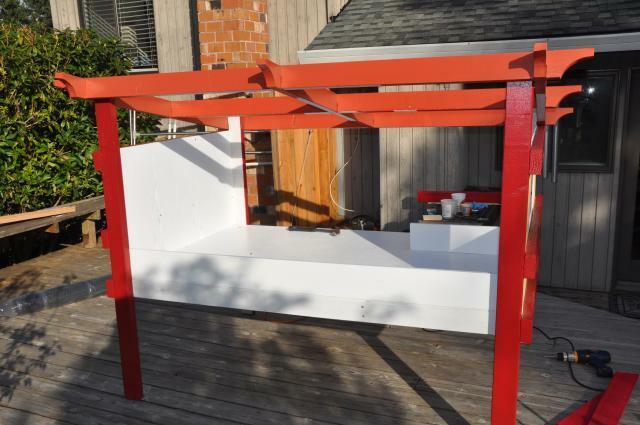 I hope you learned a bit about building a coop. It's fun, better than store bought, and pretty easy. Well constructed coop with nice explanations. 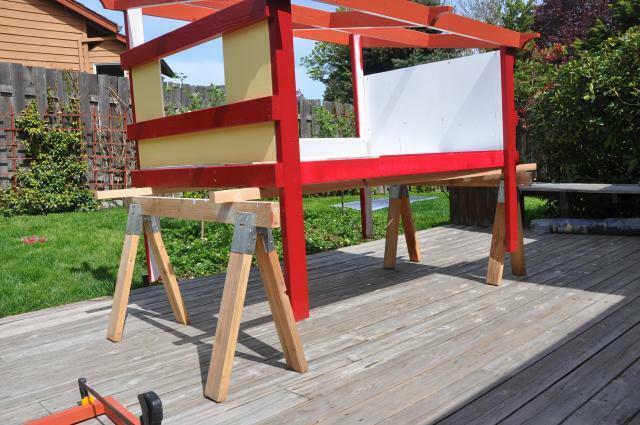 "Nice looking well constructed coop"
Lots of thought and time went into this build. The pics are great and the designer helps us out by saying what would change next time! This has given me complete inspiration so THANKYOU! !